The Kráľova hoľa Mt. is a bulky massif with the tallest top in the eastern part of the Low Tatras. The greatest Slovak rivers spring below this mountain (Váh, Hron, Hnilec and Hornád). 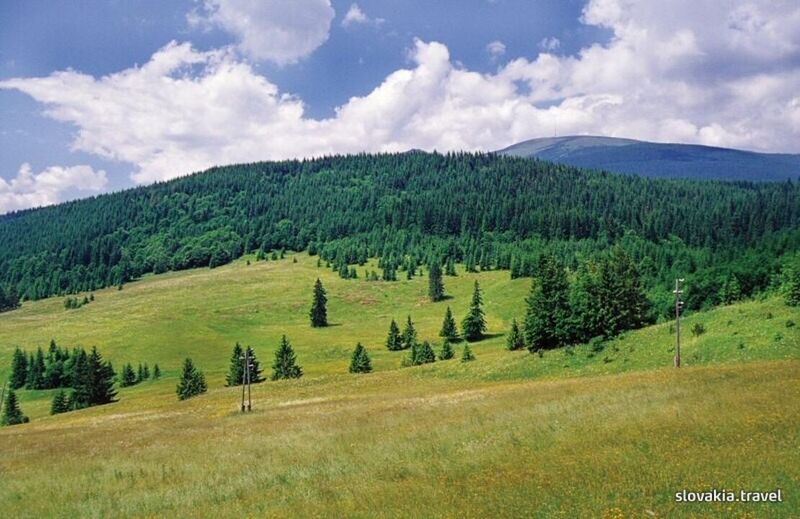 This fact and the majestic appearance of the mountain causes that Kráľova hoľa became the most sung about Slovak mountain and it is also subject of varied legends and fairy tales. Normally it is the starting or the finishing point of the ridge tour in the Low Tatras. The most valuable section for tourists is the one between Kráľova hoľa, Stredná hoľa (1,876 m), Orlová (1 839 m), Bartkova (1,790 m) and the saddle Ždiarske sedlo (1,475 m). It is possible to continue along the main ridge westward or to descend following the blue hiking marks to the valley Ždiarska dolina rich in limestone narrows, caves and karstic phenomena.